There have been a lot of Olympic champions. Of those, there have been a few who have stood out from the crowd, either by their super-extraordinary feats, or by their strength of character. Alain Mimoun fits the bill on both counts. Four international (pre-world champs) cross titles, three Olympic Games, three silver medals and, finally, at the age of 35, a gold in that most unforgiving of events, the marathon, in Melbourne 1956 on a torrid day when the thermometer went close to 40C. Mimoun was still racing 20 years later, in veterans’ or masters’ events, when I went to live in France in the mid-seventies. Our paths would intersect at cross country races, and I saw him holding forth to all and sundry from a distance, since I had no real reason back then to go and introduce myself. 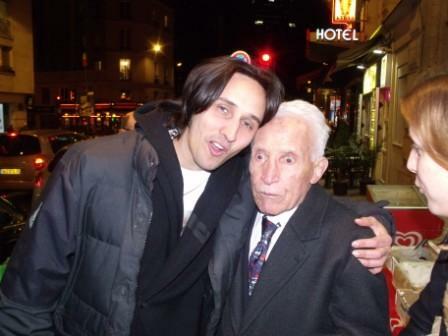 But ten years ago, I had the opportunity to spend a day with him at his home in eastern Paris, and he was just as full of stories as I had imagined when I had seen him at those cross country races. I discovered a real ‘character’. I met him again last night, because I had a lovely evening yesterday, I went to a film premiere in Paris, a documentary on Mimoun, made by a young French pal Benjamin Rassat. There is no other place in the world where cinema is more appreciated than in Paris, so it was doubly appropriate to go there. It is, after all, the birthplace of the art form. The first public showing of a movie, by the Lumière Brothers was, believe it or not, in the Paris Opera House, in 1896, the same year as the revival of the Olympic Games. Ben’s documentary is called La Légende d’Alain Mimoun. It is a fitting title, because Mimoun is one of those characters who wakes up every morning and reinvents himself. The documentary will be shown on the French channel Histoire next Monday evening, March 15, and will also broadcast later on the international French channel TV5 Monde. 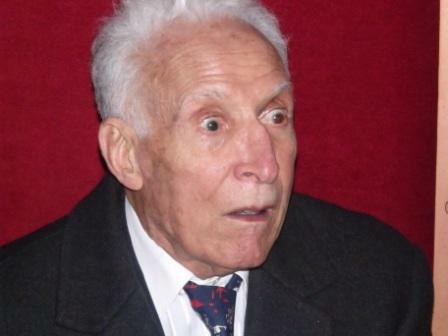 Since Mimoun is now close to 90, and still running an hour every other day(! ), as you might imagine, his account of his career describes another world. 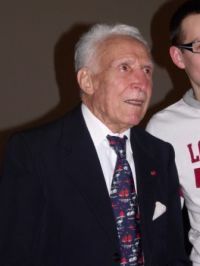 He was born in Algeria in 1921, enlisted in the French army when he was 18, fought on the eastern front, almost had a foot blasted off in the battle for Monte Cassino, and discovered a talent for running almost by accident – says he joined in a race as he was passing a suburban track with some pals after his recuperation. He joined a Parisian club post-war, and worked as a waiter in a restaurant on the edge of the Bois de Boulogne, where he would also do his training. His name was indelibly linked with that of the great Emil Zátopek, who beat him into second place in three Olympic races, the 10,000 metres in London 1948, and the 5000/10,000m in Helsinki 1952; before Mimoun finally put his pal behind him in Melbourne, where Zata could only finish sixth. But such was the bond between them that Mimoun says his greatest moment was not winning in Melbourne, it was when Zata finished, realised Mimoun had won, went up to him, took off his cap, and in his best military fashion, since he was a colonel in the Czech Army, saluted the victor. All of this and more is crammed into Ben’s moving tribute to a legendary Frenchman. Because Mimoun doesn’t miss an opportunity to emphasise his country of adoption. Nationalism may be long outmoded nowadays, the 1960s put paid to that, at least among the intellectual fringe. That distinction is lost on Mimoun, even in his short speech after he and the film were rapturously applauded by a full house in the ‘cinoche’ on the Rue des Ecoles, he harangued his audience that too few Frenchmen and women deserved their country. It was given and taken in good grace, after all, if an Olympic champion approaching 90 can’t have his say without being contradicted, where has civilisation got us? Shots of Mimoun training now, intercut with rare footage of him winning one of his international cross titles 60 years ago reveal unchanging style and form. And seeing old Olympic footage, all pre-television incidentally – London, Helsinki, Melbourne (in colour), and the Helsinki stuff shot by the equally legendary (as Mimoun) Chris Marker – is like meeting up with an old friend. And this old friend, who says he regularly refused attempts to capture his story on celluloid for over 50 years, finally succombed in the digital age. And he has been given the tribute that he deserves. Alain Mimoun – A Legend.  ← COE & OVETT – THE MOVIE!